I won’t lie, this Mustang is going to be a big project to undertake, but how cool would it be to have a real Boss 302? The Boss 302 is at the top of a very long list of cars I’d absolutely love to own. Finding one isn’t impossible, but finding one that isn’t crazy expensive is a whole different story. 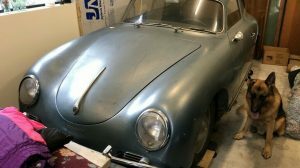 So the question then becomes, can you buy a project like this, restore it and still come in for less than what it would cost to buy one that’s already been restored? 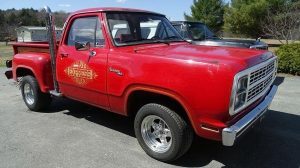 Take a closer look at it here on eBay in New Bloomington, Ohio with a current bid of $6,500 and let us know what you think! There are a few major problems here that could start to add up really quickly. Obviously, things like rust are always an issue, but in the case of this Boss I actually don’t think it’s the biggest problem. You can buy every piece of metal to fix this one’s body or you can even buy a brand new shell for under $17k. It’s not cheap, but it would be the quickest and easiest way to get this car back up to speed. Paintwork is also going to add up, that is if you want a really nice paint job. If you can do all the body and paint prep work yourself, you could save a small fortune, but it’s going to be a huge amount of work and time. Now, here is the real problem. 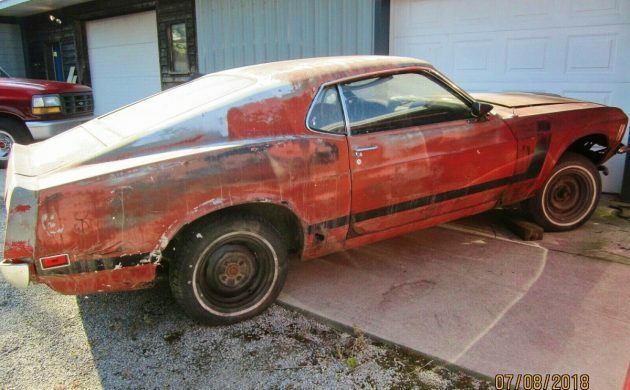 The all important 302 V8 is long gone and is what makes this Mustang a Boss. Without it, it’s just another Mustang. Replacements are out there, but they aren’t cheap. A real Boss 302 turnkey engine can easily cost $15k, but you could build your own 302 for considerably and still have it perform like the real thing. It will just boil down to budget and what the end goal is. If all you want is to have the Boss experience, finding a Windsor block, Cleveland heads, high-lift cam, a big Holley carb, and all the requisite machine work to fit it all together will just about get you there and won’t break the bank. Cars like this always create a bit of an internal struggle. It’s a desirable and important machine that deserves to be saved, but it’s going to cost a lot just to get it back on the street. There’s no doubt it would be worth it in the end. The only problem is having the patience, time and desire to save it, while your hard earned money could be spent on something else that’s ready to be driven right now. The best things in life take work and time though! But what do you think? Is this Boss a project you’d be willing to take on or is it just too rough? It would take a lot of MIG welding wire to fix this one. Yes But an ALL Original BOSS-302 for Under 100K$ is a Rarity these days, I remember when 35k$ For one was like a Ghastly Price. & that was NOT all that many yrs ago. I don’t miss the 21 year old me, but I do miss the 48-55 year old version. I didn’t know what daily pain was until after that. 21 years old youth? You can have it (except for the girls). Whoever buys this junk is paying for the vin tag and ID plates and will buy a better shell out west somewhere. 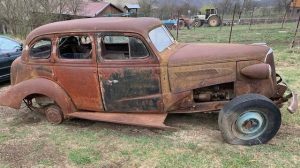 – this car sat on the ground with either flat or no tires for many years (decades) and the damp weather has destroyed it. There’s so much rot here that you can see ,I’d hate to see it up close. I built a lot of cars and over the coarse of 5-10 years spending 30 grand and providing tons of labor has never been as hard for me as dumping 50 grand in 5 minutes!!! I know of someone that has restored a Boss 302. She has about 80K into it so far. Obviously more than she will EVER get out of it. Hmmmm , lets see , pay thousands to buy this heap, replace the entire interior , all the body panels , the floors and frame rails , all the electrical and weatherstrips and seals, the complete suspension, brakes and fuel system , all the chrome and trim, then try to find a date correct Boss 302 engine and transmission, paint the entire car and get the stripes put back on ??? 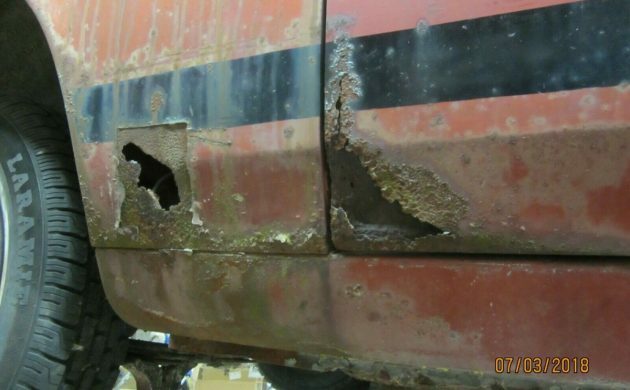 What is salvageable on this car , the rear diff (if its actually the right one) and the glass ? 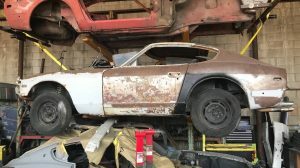 Basically you’re starting with nothing but a vin # and replacing everything – I’ll bet the buyer has a rust free base Mustang fastback junker from out west and will swap the vins out , at least you’d have a solid platform to work with ! Did anyone take notice that the rear wheels on this “Boss 302” are 4 lug? LOL ! So basically this car was stripped of all its useful parts 30 plus years ago and has been lying on the wet ground since then . I did notice it had new looking radials on it so I figured the guy slapped some tires that held air on it to haul it out of the junkyard, but he went so far as to stick a 6 cyl rear in it to get it out of there. 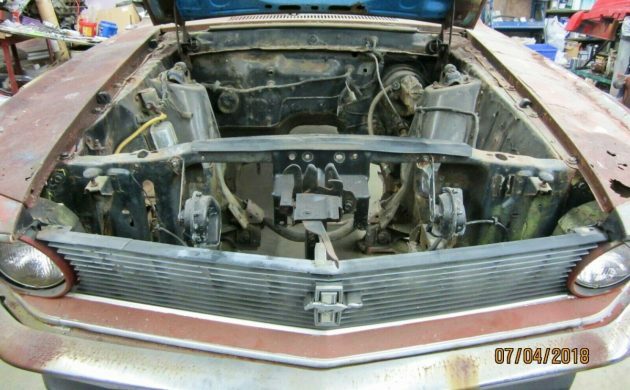 When I see a car like this with it’s Boss 302 engine gone, I often wonder where that engine ended up….I mean I’ll assume it was pulled and transplanted into something else. I wonder where THAT ride is? This one….boy…..IDK why someone would take this on. It always sparks the debate about once what made a Boss 302 a Boss 302 is gone, is it a Boss 302 anymore? The original engine may have ended up in some other car, maybe. Or just as likely it ended up on the scrap pile after it blew up during a race. With the amount of mustangs that I see on this site regularly it is clear that they are not rare. It is beyond me as to why anyone would buy this. The vin tags without the matching engine is worthless. Put it back in the junk yard. You guys know that replacement bodies are available!?! And yes they are expensive, but it would be worth it on this car. 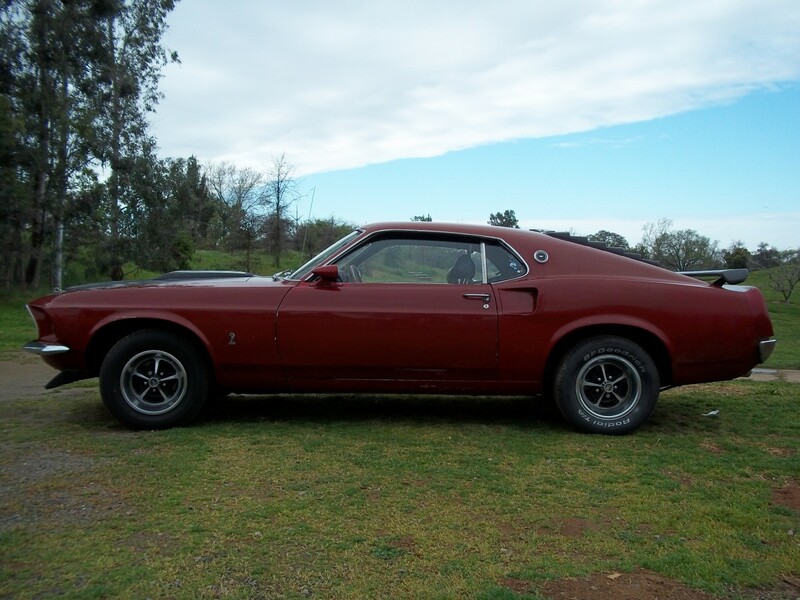 Yes, they are available, but after you buy a replacement body, and then replace every single part on the car except for the vin tag, is it still a 1970 Boss 302 ? 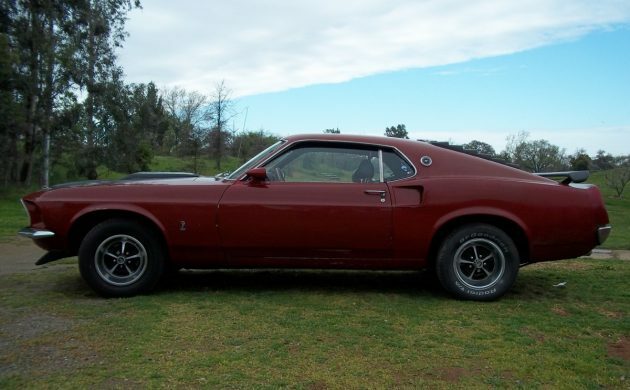 It would be cheaper to find a solid base fastback out west somewhere and then start putting the aftermarket parts in to make it look like a Boss 302 – which one would be closer to an original Ford car ? He says the original rear axle is gone so why would it be replaced with one that has 4 lug nuts instead of 5 lug nuts. Nothing to see here move along. A 4 lug rear was put in the car because it has very little value. An 8″ or 9″ 5 lug rear has more value and could be sold as a separate part. 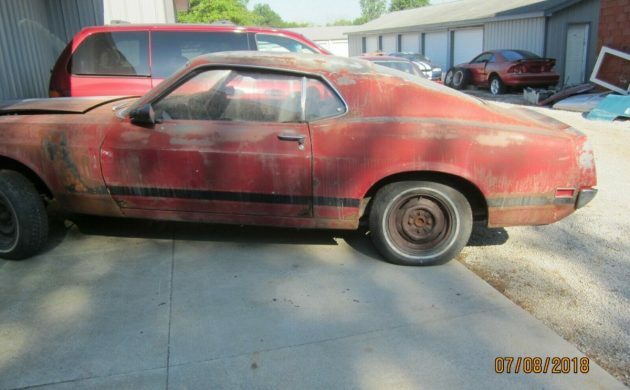 The seller is Mustang parts dealer after all. If you take a 70 Chevrolet chevelle and put SS badging all over it it’s a clone!!! If you put the vin tag on it from a wrecked one it’s a replacement!!! However if you take this mustangs vin tag put it on a replacement body with all new parts a non number matching motor with reproduction parts that never came from Ford you have a what???? ?